Our system design architects can make your goals and dreams a reality! A properly designed system unlocks potential you didn’t even realize you had! Need your billing system connected to your accounting software? We know how! Need more out of your current Dynamics software? We’ve got you covered. Review your requirements and match processes & procedures in your systems. Our people, your people—together we become a team and it’s this relationship that will ultimately determine the success of our time together. We have been lucky to work with remarkable organizations and always seems to find ourselves ‘at home’ with our clients, leading to better outcomes and lasting relationships! We can tell you about all of the technical things we can do for you and back them up with countless client success stories, but at the end of the day what matters most is that you walk away feeling good about your decision to work with us. 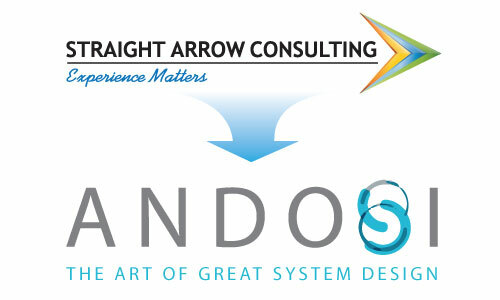 Read on to learn more about the things we’ve helped other companies achieve and what they thought of working with the Andosi Team! Reducing processing time from 2+ weeks to less than 2 hours takes more than just luck! It takes a new set of eyes to re-engineer Dynamics GP, CRM & SharePoint. In a world where only the strong survive, a lean, efficient business was the ultimate goal of this global organization. Customizing Dynamics GP helped them get there. ArrMaz had a need to manage their Capital Acquisition Requests. All requests were being handled on a spreadsheet managed by one person.